Jobs Description: Mehran University of Engineering and Technology Jobs December 2018 are listed below in our site. MUET is one of the best Engineering and Technology University in Jamshoro and Sindh. MUET provides good education to students, and also a great salary packages to staff. 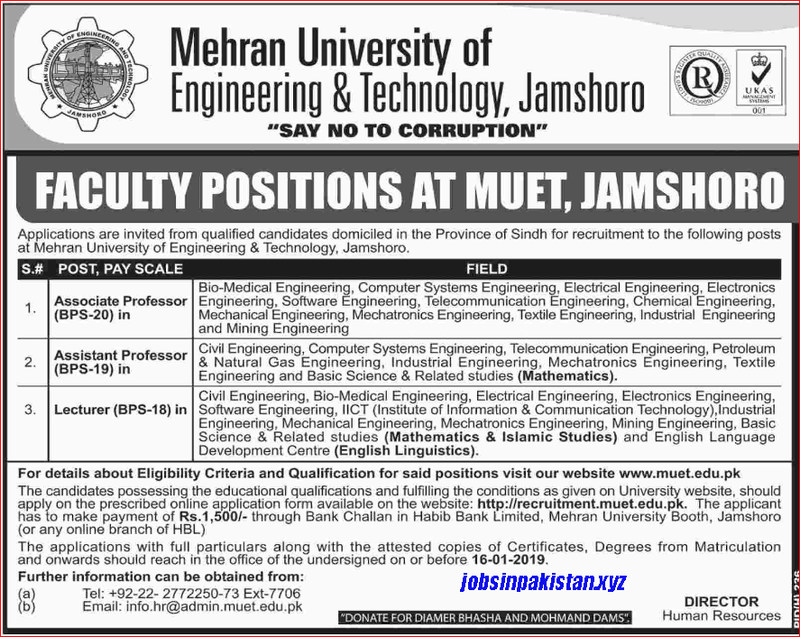 Mehran University of Engineering and Technology Jamshoro recently announce an advertisement for empty vacancies of Associate Professors, Assistant Professors, and Lecturers. Mehran University of Engineering and Technology Jamshoro has required the applications for following jobs. How To Apply: The interested candidates may apply online through MUET official website.